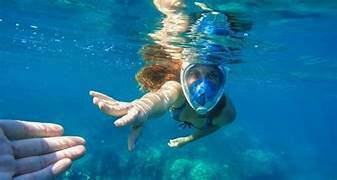 Did you know that over 20 people die every year just by holding their breath for too long underwater? 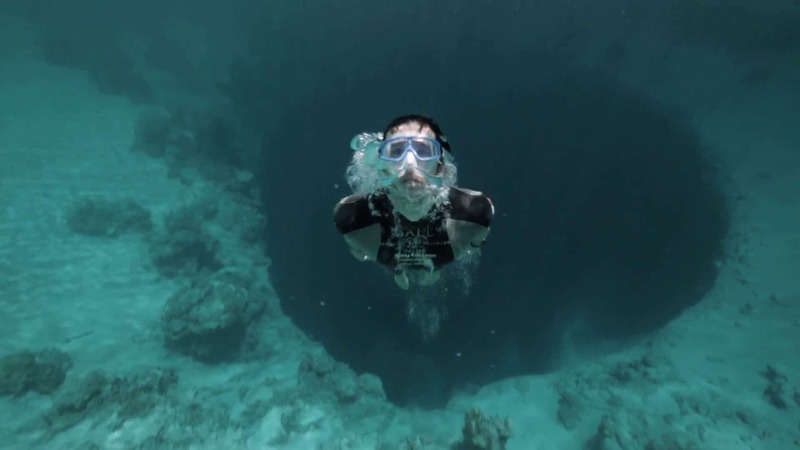 The condition is called shallow water blackout, and its impact is worrying to those in the diving and swimming industry. For those not in the know, shallow water blackout is a loss of consciousness while underwater, often caused by an intentional lack of oxygen to the brain. It is a dangerous practice done by amateur and professional swimmers alike, and the ultimate result could be death. It is important that you educate yourself on the dangers of this often avoidable affliction, so you or a loved one do not become a victim. The trigger for a shallow water blackout is hyperventilation. The definition of this medical issue is just as it sounds. Hyperventilation is when a person starts breathing very fast or taking unnecessarily long breaths. When you hyperventilate, you upset the balance that our body has during normal breathing where we breathe in oxygen and breathe out carbon dioxide. When this occurs in the water, the result is often shallow water blackout. In many cases, hyperventilation occurs by accident. However, many purposely hyperventilate, and the result could be deadly. You don’t have to be in the water to experience hyperventilation. Outside of the water, hyperventilation can occur when an individual is feeling panic, anxiety, stress, or nervousness. When this happens on land, it is serious, but it can pass by practicing slower breathing. Some remedy this by breathing into a paper bag. When you are hyperventilating in the water, it is a much more dangerous scenario. As you are accelerating your breathing, you begin gasping for air. But because you are under the surface, you start taking in water instead. The water enters your airway and lungs and drowning becomes a genuine possibility. Many cases of shallow water blackout occur while a person is trying to hyperventilate on purpose. Intentional hyperventilation is the reason why so many fit and athletic individuals suffer from this condition. 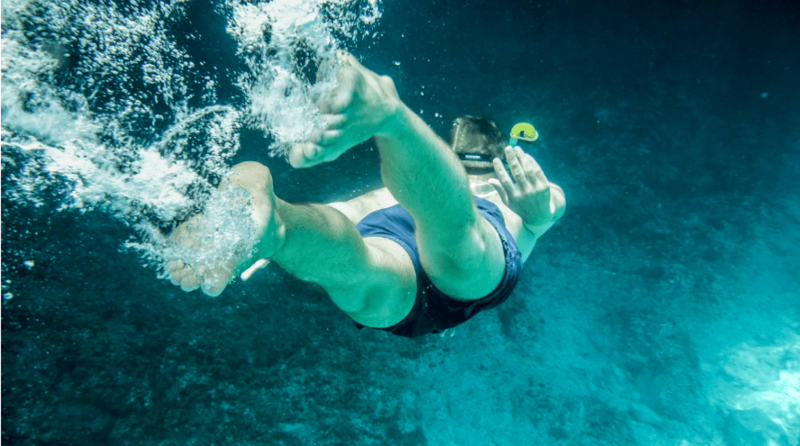 Many competitive swimmers and divers believe that they see the benefit of being able to hold their breath for as long as possible. They do this with many quick breaths or extra big breaths in hopes of lowering the level of carbon dioxide in the body. That is a hazardous activity that is highly ill-advised. Most people believe that what triggers us to breathe is not having enough oxygen, but it is an elevation of carbon dioxide. When people are intentionally hyperventilating, they are purposely trying to lower the amount of carbon dioxide in the blood. When they go underwater, the idea is to hold their breath, so they are not taking in oxygen. While underwater, the natural balance is off and since the amount of carbon dioxide in the blood is lower. That can make staying underwater feel easier because the body does not have the urge to gasp for air. The human body is a complex organism. It has many internal systems working both together and independently to keep us alive and kicking. Trying to disrupt the natural motions of our systems is bad news. When we force our bodies to act unnaturally, they can get confused, and our mechanics can shut down. This is what can happen when we intentionally hyperventilate. Once the diver has taken unnecessarily large breaths, they are now underwater with a low carbon dioxide supply. However, now the diver is successfully tricking their body. They may even feel a sense of euphoria and feel that they can hold their breath even longer. The feeling is only temporary. The next step is your body failing to recognize that it needs oxygen. The body has now reached a condition known as hypocapnia. Hypocapnia means that you officially have a deficiency of carbon dioxide in the blood. Now you are not getting oxygen, and your carbon dioxide is too low to tell your body to breathe. In many cases, this combination will result in the body shutting down, and the swimmer loses consciousness. Shallow water blackout has set in. At this point, your body goes into its final panic mode. As a reaction of your body powering down, the natural response is to tell you to draw a breath. It is at this point that you inhale, pulling water into your lungs. If you are not found and rescued almost immediately, you could be facing death by drowning. When suffering from shallow water blackout, removal from the water must be immediate for a rescue to be possible. The issue is, because of the blackout, it may be hard for others to see that you are in trouble. Often, because your body has lost consciousness, you will not put up much of a struggle so others may not be alarmed. There are even cases where the body will continue to make somewhat normal movements because, even though you are blacked out, the body may continue to function temporarily. On top of that, if you are making it known that you are purposely attempting to hold your breath underwater for a long time, lifeguards and others may believe that you are intentionally staying underwater. The reaction of bystanders may be to let you be, not realizing that you are in danger. Remember that shallow water blackout does not only happen to children and unskilled swimmers. Even the most experienced and athletic individual can suffer from this unfortunate death. Listen to your body and do not try to hold your breath longer than is natural. Where Can a Shallow Water Blackout Occur? Despite the name, shallow water blackout can happen anywhere. There have been instances of people suffering anywhere from their bathtub to the ocean. A large number of cases occur in swimming pools. The pool is where people tend to practice hyperventilation techniques in hopes of holding their breath longer or swimming for longer periods without breathing. This affliction does not pick and choose who it affects. If you are holding your breath for too long, you are susceptible. Many victims have not had any prior medical problems. There have been plenty of amateur swimmers who have suffered from shallow water blackout. However, in many cases, it is fit, professional swimmers and those who believe holding their breath for a long time to be a necessary part of their jobs who suffer shallow water blackout. This includes competitive swimmers, Navy Seals, spearfishermen and anyone who often dives. The saddest part of a shallow water blackout is how many people could survive if they knew the dangers. Beyond education, there are several other safeguards you can employ to make your odds of this death almost entirely avoidable. The most important safeguard that you can control is not intentionally hyperventilating. There are no benefits of forcing your body to do this deadly trick. If you are intending to go underwater, take regular breaths before descending. Try to limit consecutive breaths to three or fewer. When you feel your body’s natural cues to come up for air, do what is natural. Under no circumstance should you or your children engage in underwater breath holding games for this very reason. If you are prone to bouts of unintentional hyperventilation, you should always be careful when in the water. Professionals and amateurs alike should never tempt fate by swimming alone. No matter what type of drowning instance may occur, you will need help if you are unable to breathe while in the water. The scariest thing about those suffering from shallow water blackout is that once you have lost consciousness, it can be hard for others to detect that you are in trouble. Lifeguards may not even see your body at the bottom of the pool. But this is why it is essential to have others around. That way, even if you suffer from an accidental case, the odds are better that someone will notice and assist. 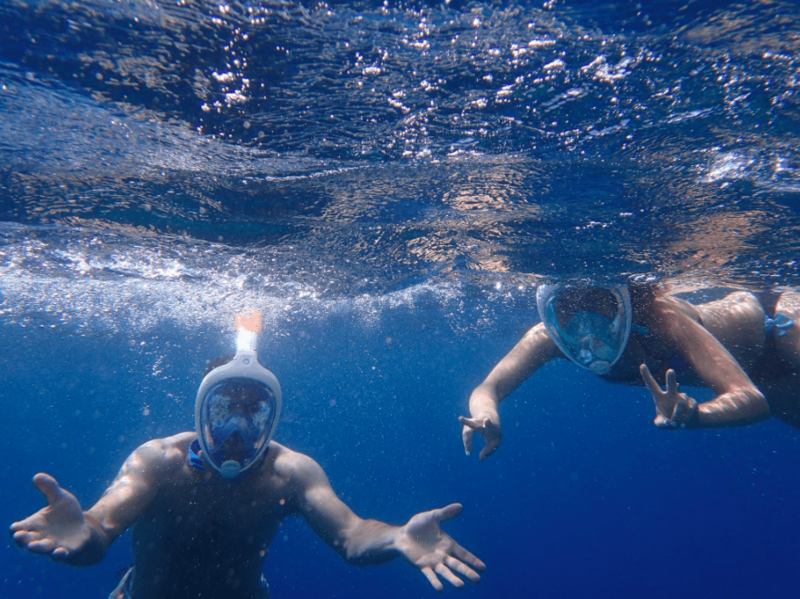 If you are practicing deep dives, always do so using a buddy system. If you know a fellow swimmer that practices intentional hyperventilation, warm them of the dangers of shallow water blackout. Professional swimmers often practice hyperventilation in hopes of getting more laps without having to come up for air. This a bad idea. Even if a swimmer feels secure in their underwater skills, the dangers of shallow water blackout are very real. Instead of trying to do multiple laps underwater, make it a rule to take one lap, then breathe. Take another lap, then breathe. Repeat this routine through every lap. Coming up for water only takes a moment. It is not worth trying to push yourself. The result could be life-saving. It is impossible to overstate the dangers associated with shallow water blackout. The fact is that it can happen to anyone at any time. If you are uneducated on what causes the affliction, then there is no way you can prevent it. Spread the word about shallow water blackout to friends and acquaintances that you know spend a lot of time in the water. Taking a moment to educate them could save their life.